The main purpose of this programme is to help create Managers and Supervisors that can improve performances in their departments and activities of their companies as a whole. This is an initiative of the Business Club Ikeja in collaboration with the Centre for International Advanced and Professional Studies, with input from the Washington Institute for Strategic & Development Studies and the Business Club of London. It is aimed at experienced and new Managers as well as Supervisors whose tasks include planning, implementing or supervising activities aimed at increasing revenue and improving services or production of your organisation. This Executive Masterclass is crucial to all those that want to improve their performance and those who are new to the role but want to reach high levels. The programme has been designed bearing in mind the need of and with a lot of inputs from users and buyers who have changed providers due to perceived unsatisfactory performance and sensibility. We have also gathered information from Organisations that have gained customers and new businesses from disgruntled customers. It will also be an opportunity to share direct and inside tips about our ever-moving sectors. By the end of this programme, participants will go back to their work places with clear ideas on how to improve performance in their departments and how to better assist their companies in achieving results. Have a good understanding of the nature and process of strategic planning and monitoring of activities. 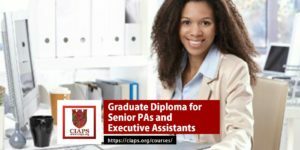 Programs at CIAPS go far beyond the basic transmission of skills and theories; these offerings provide applicable lessons in the classroom that can be implemented successfully within your organisations. Each program is designed and led by carefully selected experts who are leading authorities in their respective fields. Our aim in selecting them is to provide you the opportunity to acquire a fresh perspective on global operations from our ground-breaking curriculum, world-renowned faculty, and an accomplished group of elite peers from around the world. Venue: Business Club Ikeja – Hakeem Balogun Street, CBD Alausa, Ikeja, Lagos. Cost of the programme for Members of Business Club Ikeja per Table is N60,000 Naira. Cost of the programme for Non-members of Business Club Ikeja per Table is N100,000 Naira.